Every year on November 10th, United States Marines all over the world gather to celebrate their Birthday. From the Continental Marines in 1775 to the Marine Corps of today, their rich history and Warrior ethos binds them together. Choptank Marine Corps League Detachment 439 celebrated their Brotherhood and Birthday Thursday evening at the VFW Post in Easton, MD. Marines from WW II thru the current missions were represented. Check In! The Ladies checked everyone in, gave out door prize tickets and sold raffle tickets for the 50/50. 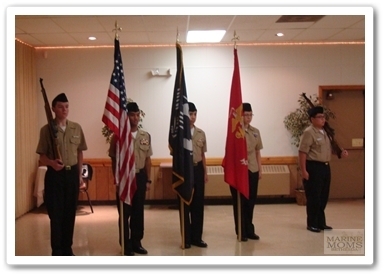 The Easton High School JROTC presented the Colors. 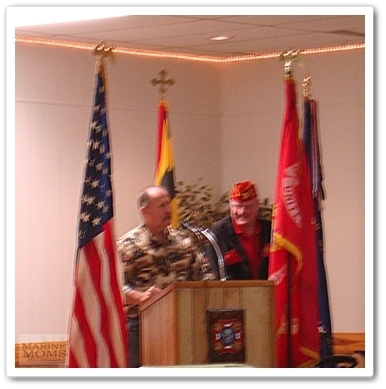 After the opening ceremony and formalities, Wayne and the Gunny told a few “sea stories”. We won’t try to re-tell them here because no one tells a sea story like a Marine. You had to be there. Wayne, the Detachment’s Commandant, said, “The one thing we all have in common is Boot Camp. ” Comments about “sand fleas”, “alligators”, and oh… “Hollywood Marines” were heard. All good-natured, connections they all have. The Brotherhood is there no matter where they went to Boot Camp, what their MOS was, or where they served. After the buffet prepared by the VFW Ladies – wings, meatballs, pulled pork, rolls, cole slaw, baked beans, veggie tray, chips and dip, it was time to cut the cake. Two cakes, one chocolate and one yellow. 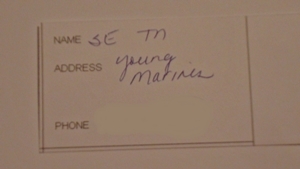 Marine Corps tradition is to have the oldest and the youngest Marine in the room cut the cake. This represents the passing of the honor, experience and heart of the Corps to the next generation of Marines to carry on. This year’s oldest Marine is 91 years young, and fought on Okinawa in WWII and the youngest Marine is 27 years old. It was a nice evening in the company of Heroes. They signed cards for us to give to the combat patients at Walter Reed, and presented Marine Moms-Bethesda with a very generous donation toward our 2016 Holiday Cheer project of adopting two single Marines and a Marine family living in the out-patient barracks at the hospital. We are very grateful for their support over the years. 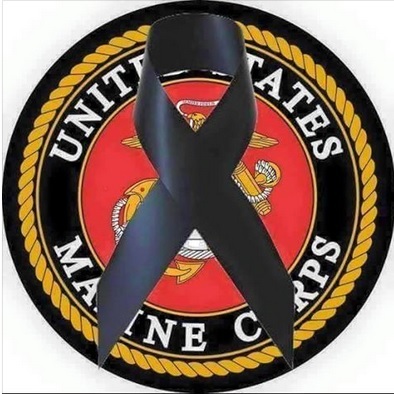 Thank you, Marines! If you are interested in becoming a member of the Choptank Marine Corps League Detachment, we can hook you up with one of them for more information, just let us know. 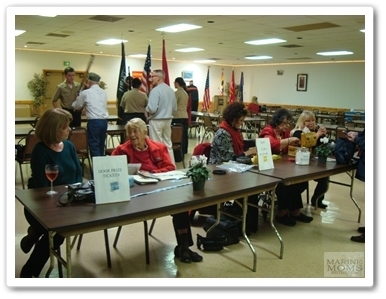 They currently meet the 4th Thursday of the month in Easton, MD and would love new members. Commandant of the Marine Corps, General Robert B. Neller’s 241st Birthday Message can be read HERE.